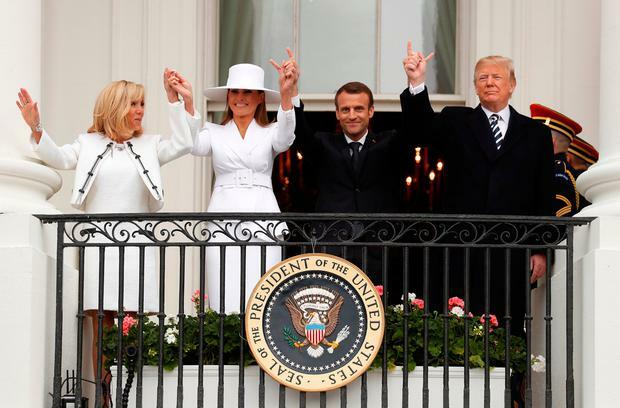 French first lady Brigitte Macron said she feels for US first lady Melania Trump because of the intense scrutiny around her life. 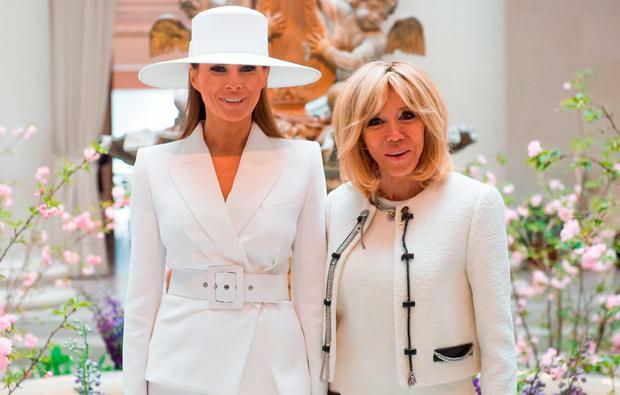 The 65-year-old visited the White House with her husband, French president Emmanuel Macron, in a two-day visit to the Washington D.C. last week, further building on her existing friendship with Mrs Trump. They even donned matching white ensembles for a tour of the National Gallery of Art and the Trump administration hosted its first state dinner to welcome the Macrons. "We have the same sense of humour, we laugh a lot together," Brigitte told French newspaper Le Monde. "Melania can't do anything, she can’t even open a window at the White House. She can’t go outside. Me, I'm out in Paris every day." And she said there may be misconceptions about her personality by the public, describing her as "kind, charming, intelligent, and very open", saying she can empathise with the pressure to behave a certain way. "Everything is interpreted, over-interpreted. She’s someone who has a strong personality, but works hard to hide it. She laughs very easily, at everything, but shows it less than I do," she added. "I have the impression that every word is a word too many, I’m constantly holding myself back. That’s the hardest part: there’s never really any time off, never a moment when you can be completely calm." Ms Macron said she doesn't "feel like a first lady" and that her 11-year marriage is as strong as ever.